The Neighborhood House of the Tarrytowns has been in operation in one form or another since the early twentieth century, serving the community and improving life for residents of the Tarrytowns. The Neighborhood House first existed as the Women's Civic League that was purchased 12/29/20 at 98 North Broadway. This organization began the tradition of improving life in the community. It created public parks and playgrounds, established a visiting nurse service, and pioneered the first clinics available to everyone. The Neighborhood House building was first located at 127 Wildey Street which was probably closer to Patriots Park. It was later located at 43 Wildey Street, our current location, at the corner of Washington and Wildey Streets since 1920 (pictured at left). The Neighborhood House has undergone significant architectural changes over the years. 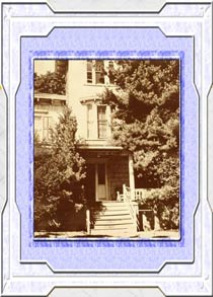 The original property was donated by Mrs. Worcester Warner. 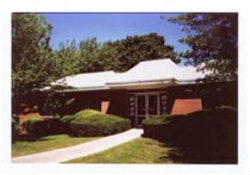 The current building was designed by Elmo J. Rovere, a Yonkers architect and built in the 1960's with the help of the Community Chest - which had supported the activities of the Neighborhood House since the 1930's -- and many other organizations, as well as donations from individuals within the community. The Neighborhood House now serves as the base for numerous daytime activities geared mainly toward older community residents. It also functions as a meeting place for local community groups. Neighborhood House, assisted by a part-time Program Coordinator working four days per week from 10a.m. to 4p.m., Tuesday through Friday. For more information, email us at theneighborhood@optonline.net.